It’s cinnamon oil! Of all the spices out there, I often preach that cinnamon should be part of our everyday diet. There are dozens of ways to use it and its healing properties are miraculous. For instance, did you know that numerous studies revealed thatcinnamon shows positive effects in many diseases, such as gastritis, diabetes, and it’s also decreasing the bad cholesterol? In just a few sentences you can read about the benefits of cinnamon. The health issues mentioned below certainly find cinnamon to be their worst enemy. If you know a person that suffers from these diseases, feel free to inform him or her that cinnamon can help fight some of the most awful diseases. Keep in mind that this information is backed up by scientific research. Cinnamon is very helpful to patients with type 2 diabetes, since it improves the level of glucose and lipids. According to the National Institute for Health and Care Excellence in Britain, specific ingredients found in cinnamon effectively deal with fungal infection. Another study conducted at the University of Tel Aviv shows that cinnamon helps in the prevention of Alzheimer’s disease, because an extract found in the cinnamon’s bark avoids the development of this disease. Indian researchers have found that cinnamon is very effective with certain types of HIV. Rush University’s survey shows that this spice prevents the destructive process of multiple sclerosis. Cinnamon essential oil is also beneficial for the kidneys. It is proven that cinnamon oil and its protective properties prevents the kidneys from damage induced by alloxan. The spice reduces the negative effects that occur after eating food which is high in fat and calories as well. Did I mention that cinnamon also increases libido? Well, I’m glad I caught your attention everybody. So what if I told you that you can make your own cinnamon oil for everyday use? It’s easy and you’ll end up having another remedy in your kitchen cabinet. It can be used for both internal and external demand. What makes it special is itsantibiotic, antiseptic, analgetic and aphrodisiac properties. As I said the preparation of this homemade cinnamon oil doesn’t get any simpler than this. All you need is 5-6 cinnamon sticks, olive oil and a glass jar. If you already have the ingredients, put the chopsticks in the jar and pour olive oil until the sticks are covered. You have to close the jar very well and then leave it at room temperature for the following 3 weeks. Don’t forget to shake the jar once in a while. After 3 weeks, open the jar and strain the liquid through gauze. Put the strained oil in a dark bottle and there you go. As for the usage, as far as I’m concerned, I often add the it in desserts but I also consume a teaspoon of the oil every morning. You can also perform a massage with it. But make sure you use the cinnamon oil within a month, just to make sure the properties don’t lose their power. The latest research has shown that drinking your favorite morning beverage, coffee, is good for the liver. In fact it was found that people who drink large quantities of coffee every day, lowered the level of non-performing enzymes in the liver, and the same effect can also be achieved with decaf coffee. Study author Dr. Xiao Qian from Maryland University said that previous studies have shown that drinking coffee has a positive effect on the liver, but it was not known if decaf works the same. 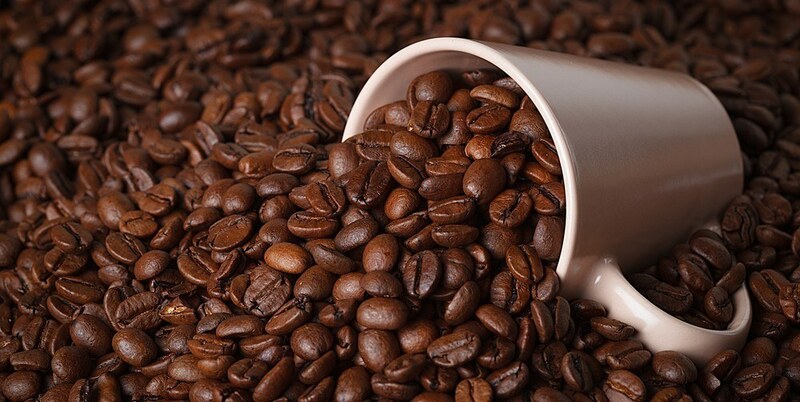 To determine the results of decaf coffee, Xiao and his colleagues have used previous data and reviewed the research conducted on 27,800 people older than 20 years. The objective of this research was an insight into the general health of American citizens, who were undergoing medical examinations and interviews. Scientists have found that people who drank three or more cups of coffee a day had lower levels of liver enzymes compared with non-coffee drinkers. So enjoy your coffee knowing that you are protecting your liver at the same time. THE AMAZING BENEFITS OF SPIRULINA,THE BEST NATURAL SUPERFOOD YOU PROBABLY DON’T KNOW ABOUT! Spirulina is packed with a variety of nutrients, especially proteins which take up 60-70%. Therefore, it represents an excellent source of protein for vegetarians. Quantitatively, taking one teaspoon of spirulina, you are entering 1.2 grams of protein into your body. Spirulina has a lot of iron, about 28 grams per 100 grams of powder. To enter 50% of the recommended daily intake of iron, women younger than 50 years should take 5 teaspoons of spirulina per day, while women over 50 years three teaspoons a day. It is best to use spirulina along with some other supplements to increase the iron levels in your body. A recent study showed that the intake of 3 grams of spirulina per day increases the level of hemoglobin and red blood cells in individuals suffering from anemia. In addition to protein and iron, Spirulina is also an excellent selection of vita min B12. However, you can not rely only on spirulina for your daily vitamin intake, but here are some things this superfood helps with. Thanks to its high content of polysaccharides, vitamin B and essential fatty acids, spirulina fills your body with energy. Do you suffer from seasonal allergies? 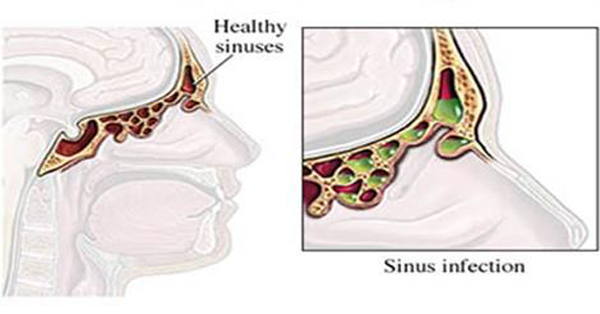 Taking 2 grams of spirulina per day for a period of six months eliminates the symptoms of allergic rhinitis, including sneezing, nasal congestion and itching. Animal studies have shown that spirulina may help to inhibit the replication of several types of viruses, including herpes, measles, mumps and the flu, and even the HIV virus. It is alleged that a dose of 4.5 grams per day for a period of six weeks reduced blood pressure in people with normal blood pressure. Several animal studies have shown that spirulina significantly reduced blood sugar levels, overriding even the popular diabetes drug metformin. This supplement contains manganese and the amino acid cysteine, which both have an important role in creating insulin. One human study discovered that 2 grams of spirulina per day for a period of 2 months lowers blood sugar. Phycocyanin, the main active component of spirulina which gives it the blue-green color, has powerful antioxidant properties. It is alleged that the antioxidant capacity of this component is somewhere in the level of vitamins C and E.
Animal studies have shown that spirulina reduces the chances of cancer. 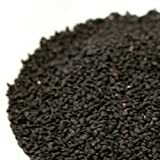 If you plan on traveling to countries where drinking water contains a lot of arsenic (eg Bangladesh, India, Taiwan and Chile), it may be advisable to take 250 mg of spirulina with 2 mg of zinc twice daily for 16 weeks, because that way you will be reducing the level of arsenic in the body. Spirulina and its prebiotic effect stimulates the good bacteria of the intestinal flora, maintaining the proper functioning of the digestive system. Also, since Spirulina strengthens the immune system, its consumption can worsen the symptoms of a disease that that makes the immune system hyperactive, such as for example multiple sclerosis, lupus and rheumatoid arthritis. Spirulina can also have contraindications when taken with other drugs, so you should always consult your doctor if you are already taking any medication. People with a hereditary metabolic disorder, phenylketonuria, must not take spirulina because it contains phenylalanine, an amino acid that these people can not metabolize. If you want to start drinking spirulina, start with small doses and gradually increase them. The powder variant can be mixed with juices or shakes, while the spirulina capsules should be taken with water.